It’s a common situation: you create a site and it’s ready to go. It’s all on GitHub. But you’re not really done. You need to set up deployment. You need to set up a process that runs your tests for you and you’re not manually running commands all the time. Ideally, every time you push to master, everything runs for you: the tests, the deployment… all in one place. But now, enter GitHub Actions. Actions are small bits of code that can be run off of various GitHub events, the the most common of which is pushing to master. But it’s not necessarily limited to that. 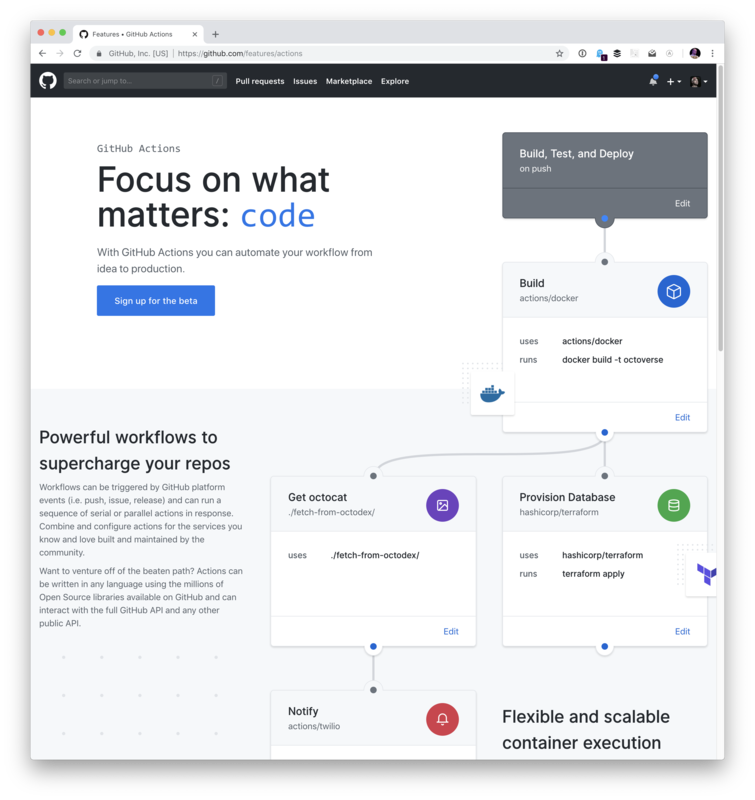 They’re all directly integrated with GitHub, meaning you no longer need a middleware service or have to write a solution yourself. And they already have many options for you to choose from. For example, you can publish straight to npm and deploy to a variety of cloud services, (Azure, AWS, Google Cloud, Zeit… you name it) just to name a couple. There are two ways you can set up an action: through the workflow GUI or by writing and committing the file by hand. We’ll start with the GUI because it’s so easy to understand, then move on to writing it by hand because that offers the most control. First, we’ll sign up for the beta by clicking on the big blue button here. It might take a little bit for them to bring you into the beta, so hang tight. 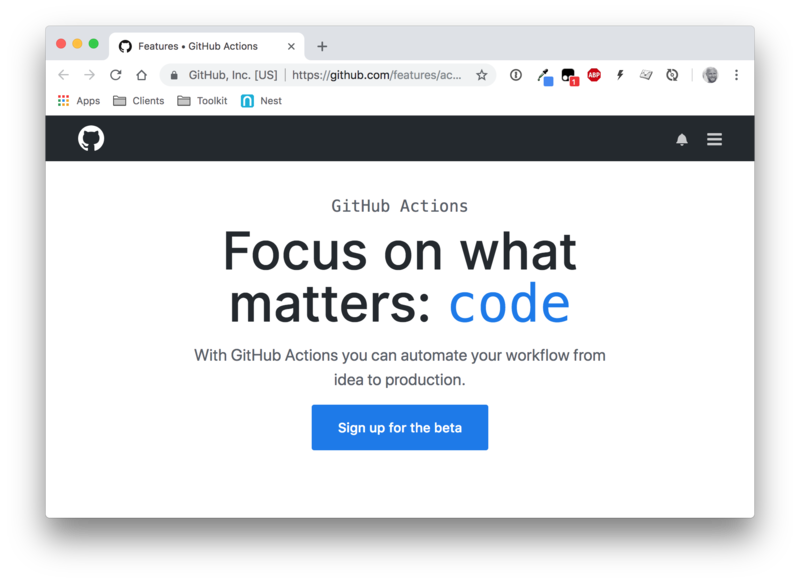 The GitHub Actions beta site.